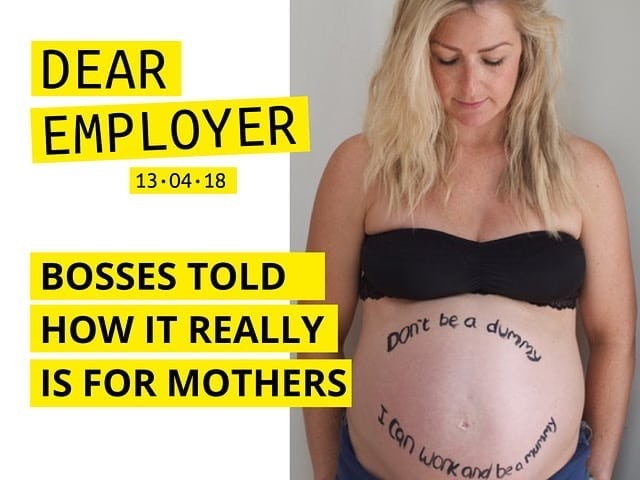 This Friday 13th April we come together to write to our previous (or perhaps current) bosses explaining how it really is to be a woman and mother in the workplace in a brand new campaign with Pregnant then Screwed – Dear Employer. That I felt exceptionally frustrated and angry about all the long hours and hard work I’d put in over the years. That my apparently brilliant performance previously counted for nothing if I wouldn’t return to the business full time as my line manager wanted. I blogged about the letter, you can read it here. It also felt important because it was giving them back responsibility for what happened. It sounds a bit odd to say but for a long time I felt ashamed that I had just walked away so other women might continue to face the same. That I hadn’t done more, shouted louder. Why didn’t I? Honestly, because I was scared. Because I was experimenting with a side project (which I hoped would later become a business) supporting women in returning to work after maternity leave, and didn’t see my long term future with this large corporate (notably at the time I hadn’t made a single penny and actually would have happily delivered the content for them too) so felt that maybe I deserved it. Because it would be too hard to prove, they skirted round what was legal, there was nothing in writing. Because I’d been out of the business for 10 months and digging deep to find any sort of courage was really bloody hard. After one specific meeting I agreed to so much crap under pressure that I walked out of the building and sobbed in the car for half an hour. A huge hot snotty mess of frustration, anger, disappointment, worry. Probably because I’d grown up being told that shouting and standing your ground was rude and pushy and ‘un-lady like’. All the reasons why I believe that the figures on discrimination are probably much higher than those published. How could I go on to support and develop mums on this topic if I hadn’t done more when it happened to me, I thought. I also felt kind of embarrassed too, would it look like I was rubbish at my job because why would they ever get rid of someone brilliant (which is ridiculous I know). One of the many problems with discrimination, that it can destroy your self belief and leave you questioning everything. I felt responsibility for what happened…but it wasn’t my responsibility to hold. Three years later write I did. I put into words, probably in a more composed and articulate way, what had happened and what could have been so much better. How they could have retained their ‘future talent’ and what they’d need to do in future if the pattern wasn’t going to be repeated. I wrote because I wanted to be heard and I wrote because I didn’t want another woman to have the same experience I did. I won’t pretend I wasn’t still a little bit scared, still am I bit to be honest, even writing this feels exceptionally vulnerable. And I wasn’t sure if I’d get a response or if the reply was going to leave me feeling more bitter than before. But I knew that I wanted to do it anyway, take a deep breath and take the risk. How many other employers might be the same? 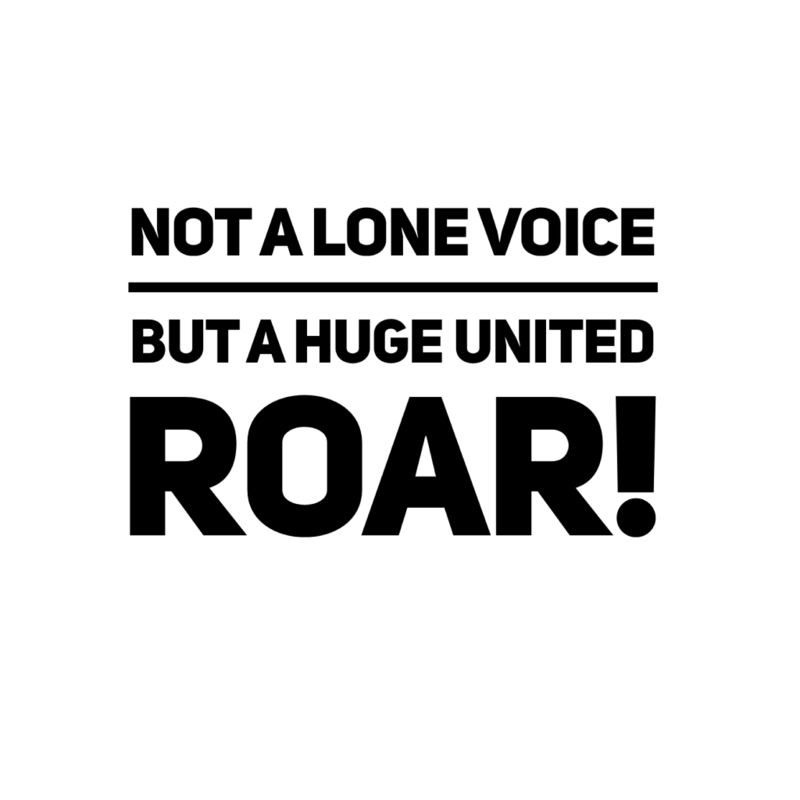 And even if they ARE aware of the issues, could this be an opportunity to come together and shout about the fact that things need to change. Or celebrate those employers who are doing a great job and encourage more of the same. Alone it feels pretty scary (I definitely felt nervous and cried throughout writing most of it) but together there is courage. And power. There is power in numbers. I’m continually inspired by a Suffragette called Ada Nield Chew who wrote many letters to her employer (a factory owner) to demand better wages for her fellow female workers (she won). She later went on to establish what was the start of welfare support for working parents, what a legend. I can’t imagine the bravery involved with this and yet 100 years on we are still dealing with a shocking gender pay gap and huge problems of maternity discrimination. But it is a year of change. We will #pressforprogress. I may not have shouted then but I am more determined than ever to make up for that now because we surely can’t have our children still having to fight this sh*t. Of that I am absolutely determined. 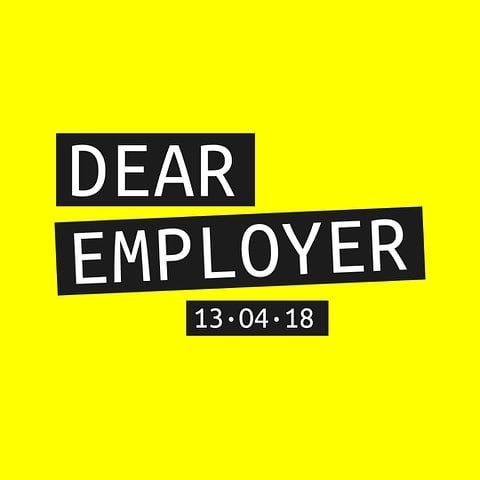 So if you feel like your employer has something to learn from your experiences then on 13th April we are urging you to get out the pen and paper (or get typing) and let them know. Tell them where they screwed up, where they did brilliantly and how they can improve. It can be anonymous or totally brazen, we completely understand that this will depend on your individual circumstances. We’ve also provided a letter template and encourage you to write to the highest possible person in the organisation, this is not actually just a HR issue, this is a business issue. A letter template if you fancy one and more info can be found here. This isn’t about having a huge collective moan, this is a positive movement taking advantage of it being the perfect time to get our voices heard. Employers are busy working out what they are going to do about their gender pay gap and motherhood is a big factor in this. They should hopefully be ready to hear some honest truths and who better to explain how it really is and help with those improvements than us…the ones who have been there. You could even write a collective letter from a group of women in your organisation if you feel this is relevant? !